The tree and lights are up and ready for the festive celebrations to begin in Wimborne Minster as the excitement builds for the lights switch-on! 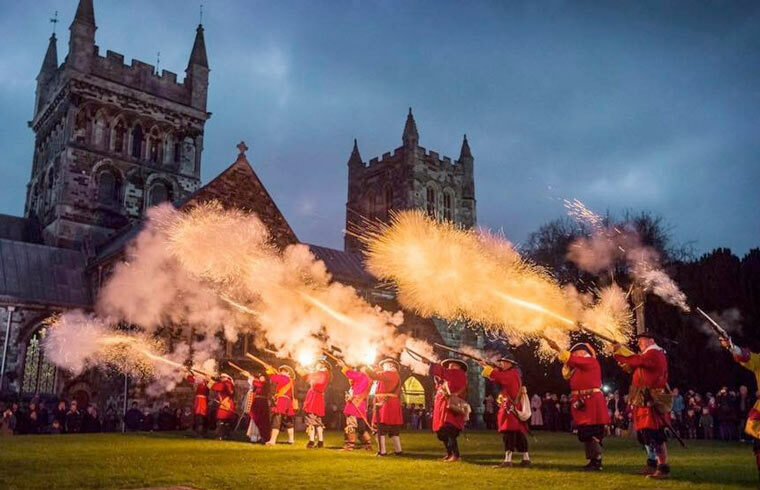 On Saturday 25 November, visit Wimborne from 10.30am for a day of music, song and dance in the Square, leading up to the lights switch-on at 4.30pm and followed by the Wimborne Militia on Minster Green! Acts include the Wimborne Ukulele Band, Viva Voices, Vocal Impact, Dorset Youth Marching Band, Queen Elizabeth’s School Jazz Band and Footlight Dancers. The following week on 2 December, Wimborne will be celebrating Small Business Saturday with special offers and events. East Street Party offers family entertainment, activities and competitions from midday until 8pm. Late night shopping with a custom-built fairground organ playing in the Square.